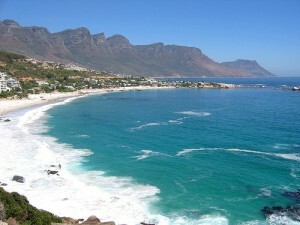 Home Blog These Beautiful Cape Town Beaches Will Make You Want To Pack Your Bags And Just Go There! 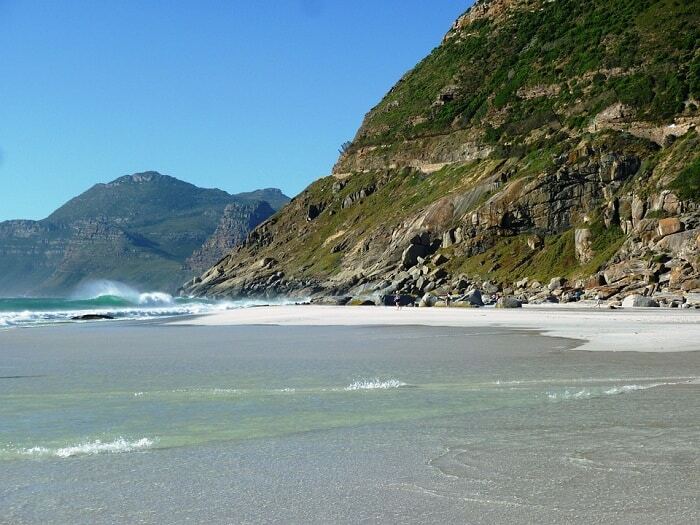 These Beautiful Cape Town Beaches Will Make You Want To Pack Your Bags And Just Go There! With a choice of two oceans, it comes as no surprise that Cape Town beaches include some of the finest coastal hotsposts on the planet. Both the cool Atlantic Ocean and the warmer Indian Ocean are home to incredible beaches that are sought-after by locals and visitors alike. Many of the Cape’s beaches are designated Blue Flag beaches, which is testament to their unspoiled beauty and pristine surrounds. Others Cape Town beaches consistently make it onto travel guides and brochures, enticing visitors with their outstanding views. 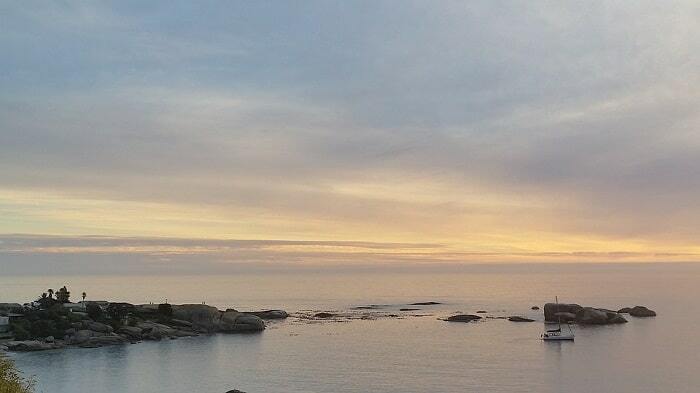 Whether you’re in the mood to see and be seen, unwind in peace, take in some nature, head out for a road trip, go for a jog, enjoy a dip in the ocean or simply enjoy the feel of saltwater and sun on your skin, you are sure to find a beach or few on this list of our favourite Cape Town beaches. There are four Clifton beaches, each offering their own unique charms. Clifton Fourth is probably the most popular, attracting celebrities and beautiful people to its shores. This beach has Blue Flag Status. Clifton Third lies just around the corner, offering a bit more peace and quiet. This beach is popular with the city’s gay community. Clifton Second is more down to earth, making it popular for locals. Clifton First meanwhile is the quietest of them all, attracting pensioners and those not looking for the ambiance of the other three beaches. 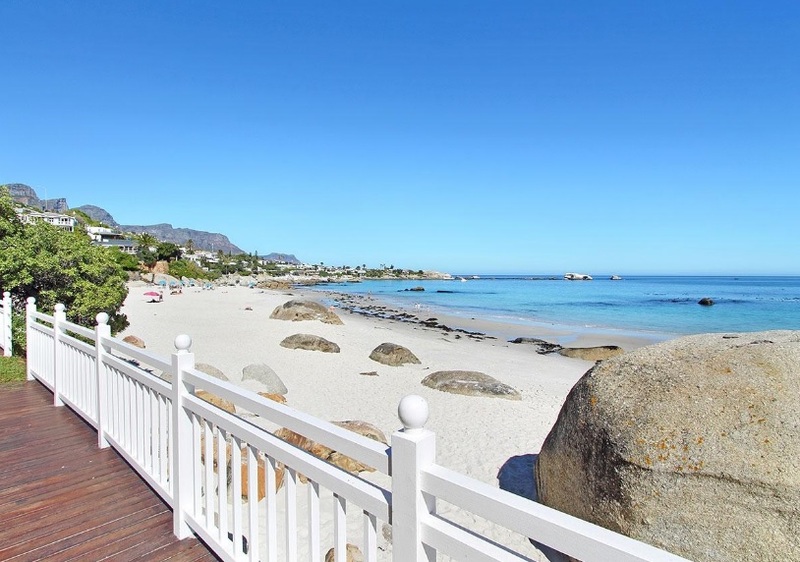 Llandudno Beach lies on the Atlantic Ocean, like Clifton’s beaches. Llandudno is an exclusively residential suburb that has no streetlights or commercial activity. Its beach is favoured by locals and visitors alike, with two entrances that are accessed from the street parking. Large boulders give a bit of shelter, while the beach itself is ideal for relaxation, frisbee, picnics and walks throughout most of the year. It can get a bit rough during winter, as waves take over the beach. Go during the warm summer months between November and April however, and you can easily spend the entire day here. Heading over to the Indian Ocean side, Noordhoek Beach offers a long stretch of beach that seems to span as far as the eye can see. This beach lies near to horse riding stables, with rides on the beach offered by a few local equestrian centres. You can also take a long walk or jog along this beach, or unwind and watch the tides shift. The water on this side is warm, making it ideal for swimming as well. 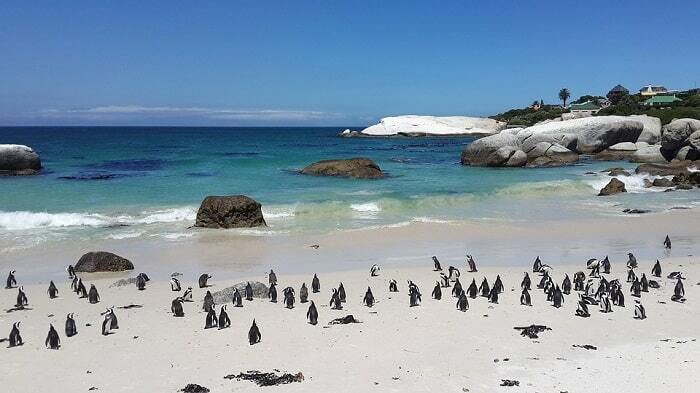 On the topic of swimming, Boulders Beach is one of the few places on earth that gives you the chance to swim with African penguins. This beach is a protected nature reserve. There is a small entry fee that is well worth the cost. Once you enter, you will take a walk along the wooden walkway, which eventually gets you onto the beach. The sand here is soft and white, while the large boulders that give the beach its name add protection from the wind. Look out for penguins – they can be seen nesting and waddling on the beach. You may even find yourself swimming near one when you take a dip. 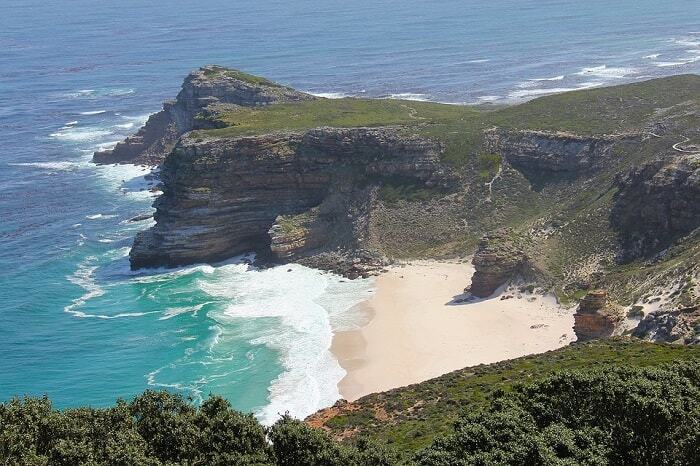 Cape Point is home to some of the most amazingly unspoilt Cape Town beaches you will ever find. Diaz Beach is one such beach, offering a postcard-perfect beach that feels far away from everything. This beach lies on the Indian Ocean side, making the water warm and great for swimming. Afterwards, you can take a tour through the Cape Point reserve to spot wildlife, birds, shipwrecks and fynbos. This makes a highly memorable day out, however long you stay. There is an entry fee to enter the reserve itself, but the beach is free to enjoy. On the Northern Atlantic Coastline, there are a few beaches worth exploring. Sunset Beach lies in Blaauwberg. 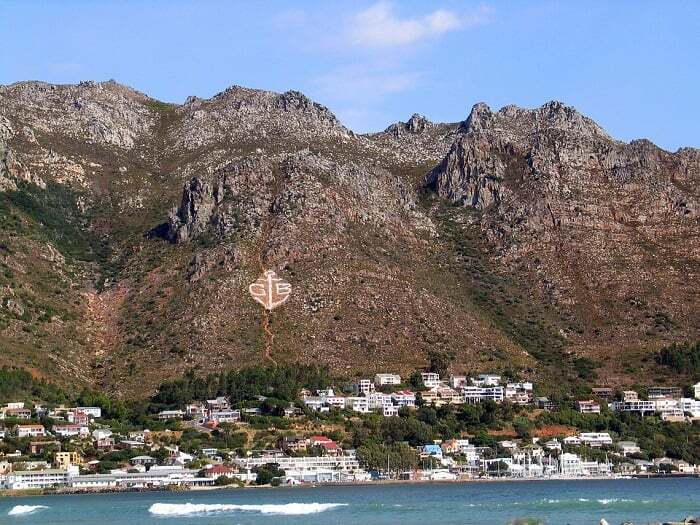 As a quieter alternative to Melkbos and Blouberg, this beach is ideal for families, couples and anyone wanting to enjoy perfect views of Table Mountain along with a long stretch of coast that is ideal for picnics and watersports, and waters that are ideal for swimming, surfing and bodyboarding. Late afternoon is especially a great time to visit this beach if you want to watch the sun go down over the water, with the mountain in the background. 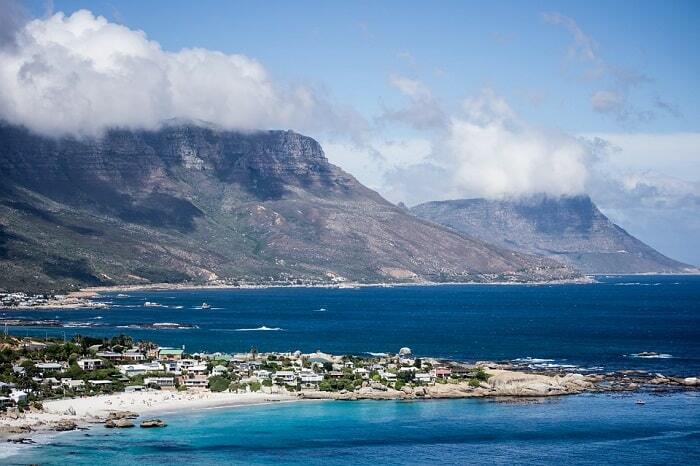 Head out of the city to Gordon’s Bay, and experience one of the popular Cape Town beaches for holidaymakers. Bikini Beach is popular with students and locals. 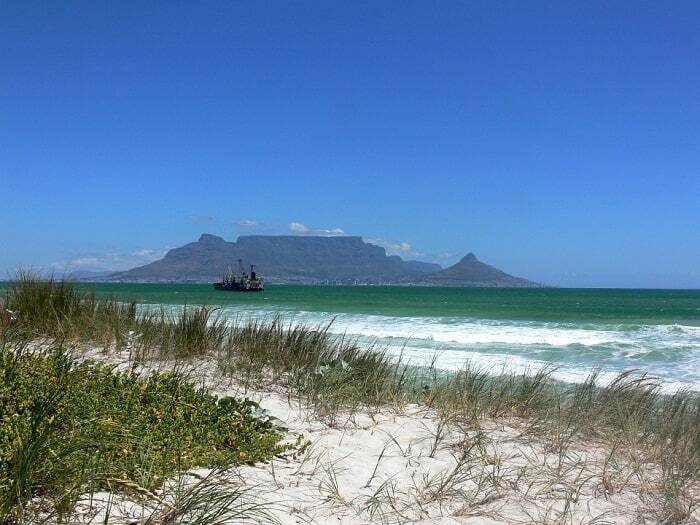 This beach has a spectacular backdrop that features the Hottentots-Holland Mountains. 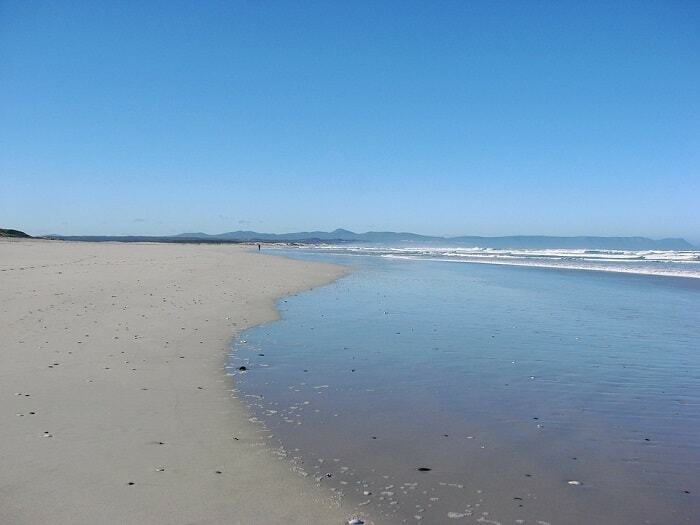 The beach itself is long, with a neighbouring beach that you can also explore, called Koolbaai. The water is warm and mostly good for swimming – the currents can however be strong. Surfers enjoy this spot as there is a sudden slope in the ocean bed that makes for excellent waves. One of the designated Blue Flag beaches in Walker Bay, Grotto Beach is the much-loved main beach of Hermanus. This beautiful beach spans over two kilometres, running from Voëlklip all the way to the mouth of the Kleinrivier lagoon. The Walker Bay Nature Reserve lies to the north-east of the beach. If you plan your visit for the period between April and November, you will also be able to enjoy whale watching. Hermanus is the undisputed whale capital of the Cape, with regular sightings of these magnificent mammals. 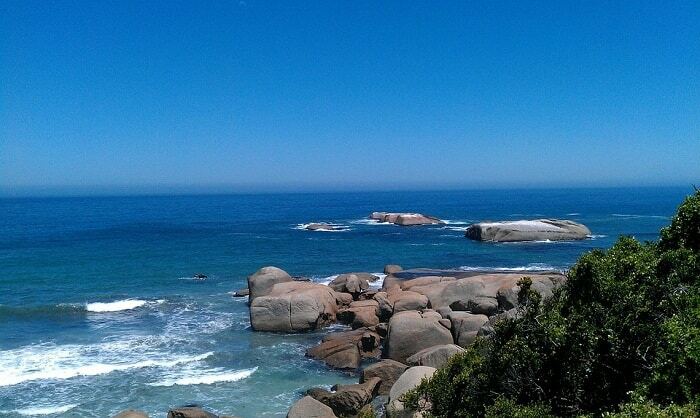 Now that you have some tips on which Cape Town beaches we love the most, you can start planning your holiday. Remember, you will find a huge range of accommodation from coast to coast – apartments, villas, holiday homes, cottages, guest houses and plenty of other options await. ComeToCapeTown.com will help you plan the holiday of a lifetime, complete with tours, accommodation and everything else you could ever need. 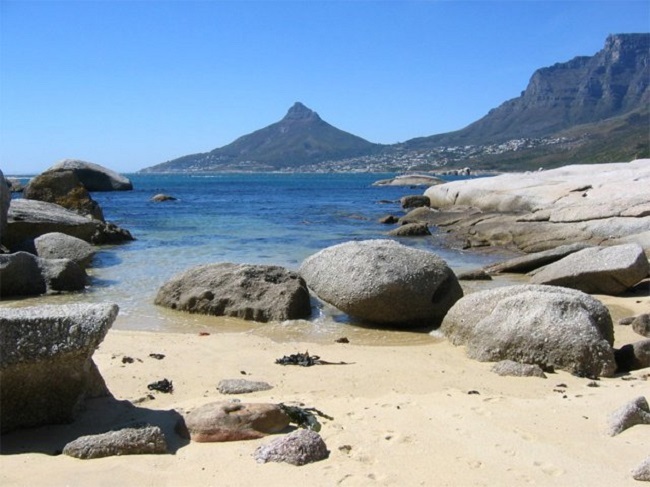 Get in touch today to learn more about where to stay near any of these Cape Town beaches!